The Business Boutique is a growing community of women who are making money doing what they love. 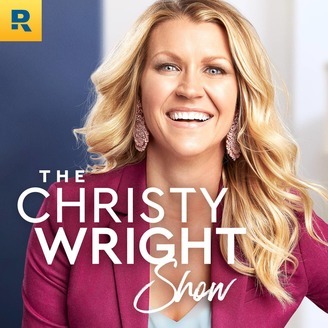 In each episode, business coach and Ramsey Personality Christy Wright takes a deep dive into topics like marketing, selling, social media and profits. Episodes include featured interviews with top experts in each of these areas. 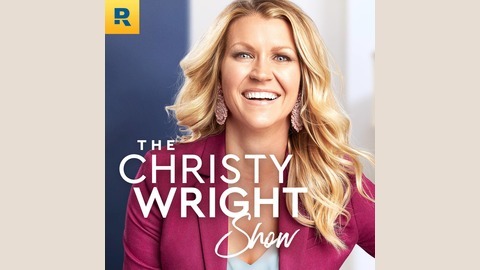 Christy delivers motivating and thought-provoking messages while sharing stories of women who have found success that will inspire you on your journey. My team thinks I’m never in the office. And, if we’re being honest, they have a point. Between travel, speaking engagements, video shoots and off-site writing days, I just don’t spend a lot of time at my desk. I remember one particular week when I was with my team all day every day because we were launching a new product. They gave me so much flak those five days. They went on and on about how I was never in the office and how much more fun it was when I did come around. So I decided the following Monday, when I normally wouldn’t be in the office, to surprise and delight my team with a box of warm donuts. I thought it was the greatest idea ever. I imagined myself bursting through the doors, while everyone cheered for this special treat. I mean, I really built this whole thing up in my head. As luck would have it, no one was there when I arrived. Not a single person. I was so disappointed. It turns out, I chose a time when every single person on my team was either in a meeting or working in another building. I had planned this surprise poorly. Even though the donuts were still great later on when everyone finally showed up, I was disappointed that my team hadn’t been there for the grand entrance. The effect just wasn’t the same. This story reminds me of what it often looks like when we launch something new like a product, service or business. We come up with a great idea and have high expectations for what will happen when we share it with the world. And then we launch and no one shows up. It flops and we don’t understand why. Launches are important, so we have to get them right. Whether you’re introducing a new product line, announcing an upcoming conference, or offering a new service, there are things you must do to have a successful launch—but there’s also a lot of room to be creative. That’s because launching is both a science and an art. If you want to create a better launch experience, one where people actually show up and buy, you’ll want to incorporate three key elements. Sixty percent of sales occur after the fourth interaction with a potential customer. (1) It’s because people buy from those they know, like and trust. That’s why if you’re going to launch anything, you need existing relationships to launch to. Otherwise, you’ll be launching to no one. Don’t get intimidated if you don’t have any customers yet. Utilize your existing relationships to get started. Announce it to your Facebook friends, send an email to all your contacts, and ask your family, friends and church community if they would help you spread the word. A launch is an event. And just like every event, it must happen on a certain date. The last thing you want to do is drag out a launch over a long period of time because then there’s no urgency for your customer to take action. Choose a date that people can put on their calendars, plan around, and get excited about. When you land on a date for your launch, consider what else is going on in your business and the world in that season. You want to make sure it’s a good time for your customers to buy and you won’t be competing with another event. Research shows that when we have time to anticipate something, we actually enjoy it more when it occurs. Makes sense, doesn’t it? Half the fun of a vacation is counting down the days. This is why anticipation around your launch is critical to its success. Once you’ve picked a date, start creating buzz. Remember, it’s not just a date. It’s an event! People should be daydreaming about the release of your product or service like they fantasize about their upcoming vacation. At Business Boutique, we do this every year when we open enrollment for the Academy. We create new videos, write about the opening in our blog, and post about it on Instagram. We’re likely talking about it everywhere you turn. And when the day finally arrives, we make it a huge celebration! This is all intentional, and it works. Let’s recap: Whatever you’re launching, you can make it a huge success by launching to your existing relationships, choosing a date, and building anticipation. My guest today is Stu McLaren! Stu is an expert at marketing online products, producing successful launches, and building membership sites. He’s also the host of the Marketing Your Business podcast. A lot of what we do at Business Boutique comes from what we learned from Stu, which is why I’m so excited to introduce you to him. Stu started his career as a motivational speaker on high school and college campuses. But it wasn’t long before he realized there was a cap to the potential growth of his business. Schools could only afford so much, and he could only speak so many times. He dove into information marketing believing that if he could learn how to sell his expertise, he could to scale his business beyond schools. It was on this journey that he began helping companies build membership sites. And it’s when he quickly realized how much he enjoyed the launch portion of these programs. If you’ve ever attended a Business Boutique conference, you know one of the best moments of the entire weekend is when we all get up and dance to Taylor Swift’s “Shake It Off.” We always do this after my talk on fear. I love giving women this opportunity to shake off whatever it is that’s been holding them back from pursuing their dreams. At the last conference, we wanted to change things up a bit. We thought it would be fun to hire a flash mob of professional dancers pretending to be attendees to come onstage during the song. The idea was that they would act uncomfortable and awkward and then at a certain point in the song, they would jump into a choreographed routine. Originally, I wasn’t going to be a part of the flash mob. But at the last moment, the week before the event, I decided I wanted to go for it and learn the dance. It was a 30-second routine. I thought, Surely, I can do this. Even though I practiced a lot, I was nervous. I felt totally great about speaking, teaching, interviewing, and putting on a great show. But I wasn’t at all comfortable with the idea of dancing onstage with a bunch of professionals. I planned to just hide in the back, where no one could focus on me. Of course, that’s not how it worked out. The lead dancer called out sick the morning of rehearsal, so they decided to move me front and center. I was terrified. This was a three-day event, where I would be onstage 90% of the time. And yet this 30-second dance routine was more nerve-racking to me than anything else. But when it finally happened, y’all, I felt like Beyoncé! It turned out to be one of the coolest parts of the entire event. The crowd erupted while we danced our hearts out. I learned something that day: Sometimes the scariest things in life lead us to the best things. Oftentimes, what comes with the most risk can lead us to the greatest reward. I could have come up with a thousand different excuses. But I would have missed out on that incredible moment when I felt like a superstar. I don’t know what that scary thing is for you. Maybe it’s that business you want to launch or saying yes to a volunteer opportunity. Whatever it is, I want to challenge you to go for it. Even though it’s scary, it might just turn out to be one of your favorite moments of all time. On today’s segment, we talk about protecting your time while leaving space for new business opportunities. If you have a question for me, call my toll-free number 844-944-1074 for a chance to be featured on the show. To save $10 on any Business Boutique Conference ticket, use the code BBWRIGHT. Check out our friends at DesignCrowd. If you’re looking for design work for your business, anything from a logo – to business cards – to your website, DesignCrowd is offering you, my Business Boutique listeners, a special offer to save up to $100 when you start your next project. Simply enter the discount code “BB” when posting a project on DesignCrowd. Or visit DesignCrowd.com/BB. If you have a success story you would like to share with the Business Boutique community, email me at podcast@businessboutique.com. New podcast episodes are available every other week.